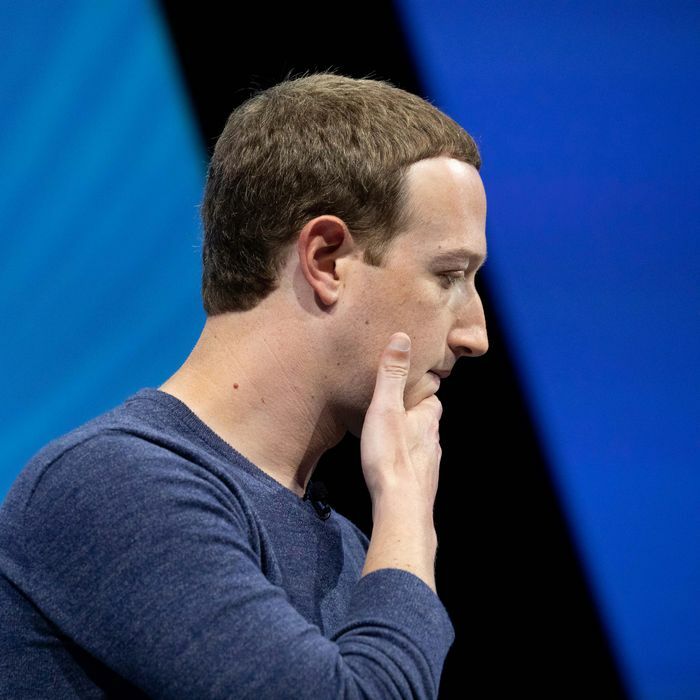 Is Facebook in trouble? Yesterday, the company reported its earnings, and — relatively speaking, of course — the picture wasn’t pretty. Growth and sales are not falling, exactly, but they’re decelerating — exactly the kind of thing investors don’t want to hear. The stock dropped by nearly a quarter in after-hours trading. Tragically, Mark Zuckerberg himself “lost” about $11 billion. Facebook and the journalists who cover it have tended to focus on the last two years of scandal and complaint as the source of the company’s failure to meet expectations; Wired writes that this is the “true cost” of Facebook “fixing its problems.” Zuckerberg and other executives have said that Facebook will be significantly increasing its operating budget to address security problems, affecting its profit margins, and that doesn’t even address the cost of bad PR. It’s obvious that these factors and others, like Europe’s GDPR regulations, will affect Facebook’s stock price and earnings figures. But the truth is that Facebook investors have rarely paid much attention to newspaper scandals or congressional hearings. If Facebook is really in trouble this time, it’s for another reason: It’s running out of people. Facebook’s success has always been built on eye-popping growth figures. But to maintain that momentum, you need to add a lot of new users every quarter. When Facebook reaches market saturation — when it’s being used by everyone who’s able to use it — it’s going to have a very hard time expanding its user base. Troublingly for Facebook, we’re reaching that point. Back-of-the-envelope math on internet usage and demographic statistics tells us that there are around 25 million Canadians and 250 million Americans on the internet who are old enough to use Facebook, giving us a total of about 275 million total people who are eligible Facebook users in those two countries. Facebook says it has 241 million monthly active users in the U.S. and Canada, meaning that there are only around 33 million people in those two countries who could be Facebook users but aren’t. Put another way, about 87 percent of Americans and Canadians who have the ability to use Facebook do. That’s not a huge surprise to people who’ve been watching Facebook’s user base expand. But as American and Canadian growth has slowed, somewhat, global growth has made up for it. The statistics on global internet access are somewhat less reliable, and therefore the picture is a bit fuzzier, but it’s very possible that Facebook is running up against the same problem there, too. A little more than 4 billion people have internet access; of that group, 750 million are in China, where Facebook is banned. That leaves us with around 3.25 billion people around the world with internet access in countries where Facebook is accessible. It gets very fuzzy here, since we don’t know how many of those 3.25 billion people are under the age of 13 and therefore ineligible for Facebook. If we say all of them are able to use Facebook, that means around 65 percent of possible Facebook users already use the service every month. That’s already a stunning figure, but if we get a little wilder, and assume that a little less than a quarter of those 3.25 billion people are below Facebook’s minimum age of 13, we’re left with something like 2.5 billion people on the planet who can practically and legally access Facebook. According to Facebook, all the company’s apps in total — Facebook, Instagram, WhatsApp, and Messenger — have 2.5 billion unique users every month. Which means it’s well within the realm of possibility that we’re living in a world where every single person who can possibly use an app owned by Facebook already does. Of course, these are very rough figures and guesses. Don’t cite them in a term paper, please! But there’s a reason investors are nervous — and a reason the company is so keenly focused not just on establishing itself in China, but on connecting whole populations to the internet entirely. If your market is saturated, you need to create new markets. There are only so many human beings out there, and Facebook is in danger of running out.